DevilDriver have announced the details of their seventh studio album, revealing that it shall be dubbed Trust No One. But fans of the Californian metal outfit will have some waiting around to do before they can strap it to their earholes, with the follow-up to 2013’s Winter Kills not due to be released until May 13th, 2016. 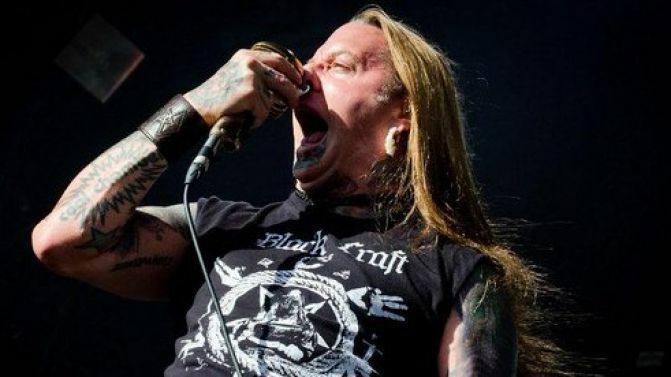 Like Winter Kills, DevilDriver’s latest disc was produced by Mark Lewis (The Black Dahlia Murder, Whitechapel, Six Feet Under). It also marks the group’s first release since the departures of guitarist Jeff Kendrick and drummer John Boecklin, and the additions of axeman Neal Tiemann and former Chimaira beatsmith Austin D’Amond. Devildriver last visited our shores with Whitechapel in 2014.